A special weekend breakfast with leftover peas from yesterday’s dinner! Make an omelette with cheese and before you roll it to the plate stuff it with half cup steamed peas. To make it a little lighter and less eggy in taste, I added two tablespoons milk. Great breakfast with lots of protein and fiber. How to make: Beat the eggs with the milk. Add salt and pepper to taste. Follow the omelette instructions to make the omelette. Before rolling the omelette to the plate, add the peas in the middle and Parmesan. 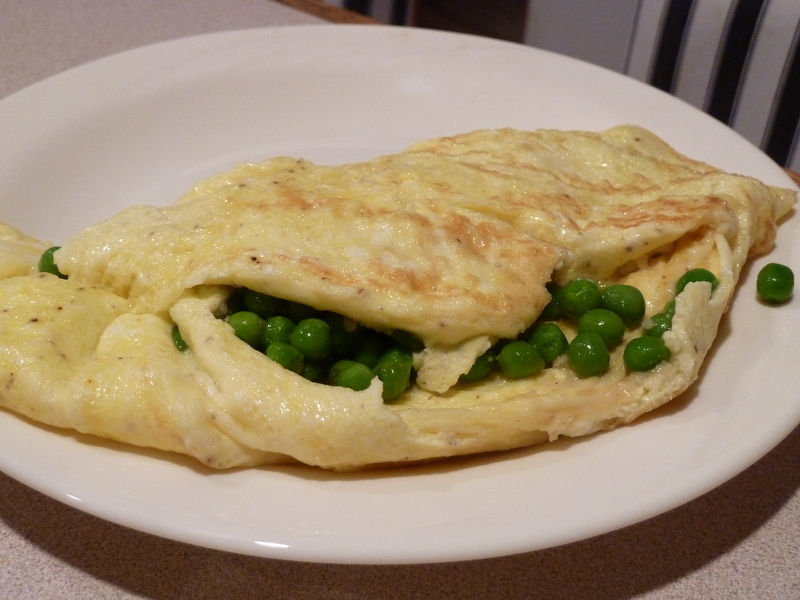 Roll over the omelette to enclose the peas and serve! Best and yummiest egg meal ever!